"Let Debbie get you home!" Debbie has been with FM Home Loans since 1992 and over the years has become one of the industry’s most talented and experienced loan officers. Debbie’s customers are impressed by her knowledge, wit and sincerity. She is terribly bothered when people are misdirected by other mortgage companies and placed in detrimental situations. A good portion of her time is spent advising her clients and ensuring they get the very best loan, successfully matching them to their specific financial goals. In the world of mortgages, Debbie has been known to work miracles. 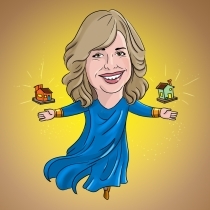 She’s helped clients save their homes on more than one occasion, and has brokered loans as high as $5,000,000.00. She has been an equal-opportunity miracle worker and a favorite among realtors and clients alike. Thank you so much for the first class service you gave my clients. I expect nothing less from you, but it is always a pleasure to watch your work! She was great in every way! Debbie was precise with all documents and communicated thoroughly every step of the way. Thank You. Debbie was super attentive, responsive, helpful, and made my first time home buying process smooth. I felt her team had my best interest at heart, and she went above and beyond to ensure that I met closing. When my home buying process seemed to take unexpected turns for the worse, Debbie and her crew did everything in their power to set things straight! From our first conversation, she consistently provided me with ease of mind and all the support in the world until and past closing. Both Debbie and Rosanna were amazing. As a first time home buyer they patient with all my questions and always very pleasant. Thank you ladies!!! Debbie goes the extra mile for her clients and made the impossible happen for me. I will always be grateful for her professionalism and the effort she put into my case. I will be highly recommending her to all my friends and family. My entire experiences were professional and positive. No question went unanswered even when I needed more information or repeated same question. Debbie and all the staff treated me like I was the most important client. Additionally, deadlines anne dates were kept and clear. THANKS! From start to finish she was very attentive and helpful. I will definitely refer to all of my colleagues. She treated me like family. 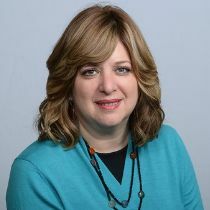 Debbie Friedman gave us great advice during our mortgage process. If we had a concern about the process, Debbie put our minds at ease with her professionalism. Very informative & expeditious. Great job!